This may sound a little strange, but one of my favorite parts of spring is the cleaning. It feels so good getting my house in order and getting rid of junk we don’t use and making all our surface nice and shiny clean. Lately, I’ve been trying to get everything ready for the upcoming Easter holiday and my parent’s visit in April. I’m the type of person who feels embarrassed when company comes over and my house is a mess. My mom would definitely say something so I’m starting extra early this year to make sure it’s in tip top shape. 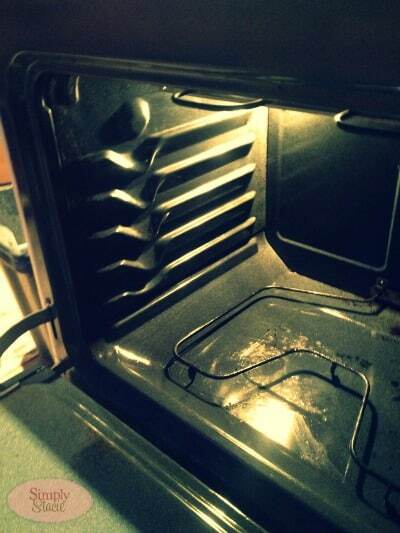 I got one big job out of the way just in time for Easter: cleaning my oven. With Easter dinner preparation, my oven will be getting a lot of attention and I want to make sure it’s clean. I’ve been using Easy-Off Oven Cleaner for years because it works. It’s no wonder it’s the #1 oven cleaner on the market! With five times more grease-cutting power than the leading all-purpose cleaner, it eliminates your food spills and baked on grease. I like that it pretty much does the job for me. I mainly use the cold cleaning method where you spray the Easy-Off inside the oven and then let it sit for 20 to 40 minutes. Then it’s just a matter of going in with a wet cloth and the grease literally just slides off. Rinse and repeat a few times and your oven is clean and company-ready. John remarked how it looked like a new oven. He’s never cleaned an oven so he has no clue how Easy-Off works and he watched me clean it out. He said he thought there would be more scrubbing and elbow grease involved. Nope! It’s a quick job and I don’t know why I always dreaded doing the oven because it’s really not that hard when I use Easy-Off. Cleaning the oven doesn’t have to be a chore. And now I’m all set for the holiday! The one I use is Heavy-Duty, but I’m interested in trying out Fume-Free to see what it’s like. How do you prepare your home for the holidays? Best thing to clean ovens and that is all! This is the absolute best oven cleaner! I need to use it on mine again soon, it has gotten filthy after all of the holiday dinners. I so need to clean my oven. It’s my least favorite kitchen activity! I swear by Easy Off to clean my oven. We clean eveywhere that people are going to be lol Our oven needs to be cleaned badly now that Easter is over! 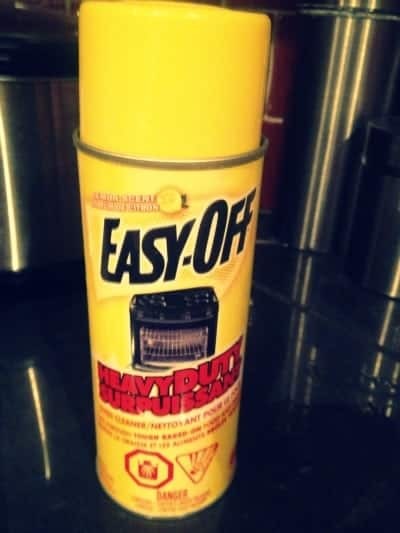 I always use EasyOff because it works so well and cleaning is not my favorite chore. I really need to clean my oven, especially my house is on the market. I bet the buyers have looked in my oven. Yikes. Okay, consider me inspired! My oven is a mess right now, and I’ve been dreading cleaning it. But your review makes it seem doable. Thanks. Cleaning the oven is one of the things I hate to do.Mostly because of the fumes I have health issues with. But if they have a no fume one Im sure gonna try it to see if I can handle it or not. This Easy off really is easy off for cleaning the oven. I always like to have a clean oven, and use Easy off to help me keep it clean! Great product! Hello, Stacie. We were doing the same at my house, too. The oven is one cleaning job that I dread but as you mentioned I had not remembered how much easier it is now with Easy-Off oven cleaner that it used to be. I would really like to try the fume free formula as I find this one too overpowering for me. We do not often have company especially during the holidays but we prepare with vacuuming, cleaning of the floors and bathroom first. These are the big clean-ups that must be done first and then dusting, etc.